FODMAPs are the carbohydrate in wheat, barley and rye. Gluten is the protein in wheat, barley and rye. These are different molecules that often occur in the same food. 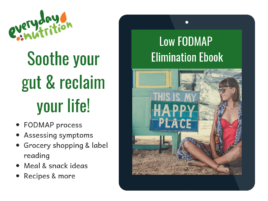 Read more about the difference between FODMAPs & Gluten here. A FODMAP meal plan is also not an all or nothing, and it allows certain serves of wheat products. 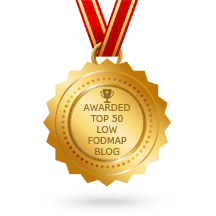 Keep in mind that a low FODMAP meal plan is not a forever, while the first few days or week can be challenging it does get easier when you get to know your own personal thresholds and find new yummy foods. Switching the focus to what you can eat is mentally and emotionally kinder. You can also download 5-day dietitian developed meal plans here to get you started and settle your gut faster.